Two central specialist units covering investigations and the General Election have been set up by a regional publisher. Archant has announced the launch of its investigations unit, which will begin work this month and will be headed by David Powles, assistant editor at the Eastern Daily Press and Norwich Evening News. David, left, will be in charge of a team of three or four journalists from across the company, who will be seconded to it on either a full-time or part-time basis, initially for nine months. Suggested research topics for the team to pursue include NHS waiting times, education funding and classroom sizes, police detection rates, the impact and growth of wind farms, empty homes and pub and Post Office closures. The central unit will then break down its findings to a local level so the relevant information can be fed back to the company’s newspapers. Archant says the team will work “virtually, coming together for planning and reviews”. Said David: “The stories that make a difference in our communities and stand out to the reader are often the ones that take the most time, research and investigation. A separate election unit, led by EDP and East Anglian Daily Times political editor Annabelle Dickson, right, has also been launched to share ideas, resources and analysis ahead of polling day on 7 May. The unit comprises members from each Archant local title, and is working on ideas including election panels of local voters, local and digital hustings, weekly podcasts, election blogs, data journalism and interviews with the party leaders. Bob Crawley, Archant acting content director (newspapers), said: “Local political and general reporters will be best placed to deliver these ideas. You forgot to mention the investigation team’s name … Hindsight. So they need to set up a whole department to make a simple phone call and ask a question about waiting times etc? They’ll become the same as the team set up by Trinity Mirror – relying on FOI requests as their only way of getting information….which means there is rarely any context to the responses they receive and the resulting article is little more than a shock horror intro followed by a boring set of statistics. It is cheap and shoddy journalism. Call me naïve but surely the ground-breaking ideas for investigations are subjects they should be covering in an inquiring manner in any case? There was a time when all those topics and more were routinely covered by Archant papers because they had experienced specialist staff who knew what was going on on their own patch. This could be a reasonable way to make up for what they have lost. But what sense does a centralised team make? It’s just going to end up chasing obvious topics in a fishing exercise. There will be the odd hit but it will mean little to readers who will see it for what it is: an exercise in story generation not reflecting the real concerns on their doorstep. It’s sad to say because, compared to many Archant initiatives, this is at least an attempt to improve content. But it is severely misguided. Submitting a few FOIs or ringing around a few hospital trusts will not replace properly supporting staff on the ground to spend time doing their jobs properly. An initiative which could only have been dreamed up by someone at executive level. Pay rise? Private eye What’s a pay rise? The only thing that’s risen here is our ad sales targets, the number of advertisers and readers walking away from the fire print titles and the amount of coffee/ fag breaks my ‘manager’ has! Instead of introducing a ‘specialist team’ to investigate what should be bog standard day to day knowledge by any local reporter maybe someone should begin by investigating Archant themselves! There was a time when local papers had reporters with contacts in the police/health service/council who would tip them off about stories. Surely all this unit will be doing is finding official data? And nobody believes official data anymore, surely? Totally agree with Norfolk N Good. 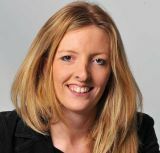 The EDP lost its bite when news editor Paul Durrant left. Top journalist. Don’t forget Twitter and facebook kendo,invaluable source of stories, leads and phone camera photographs AND without having to fling out a few cinema tickets to get it too. It’s what the sales people call a win – win situation. Anyone got a deer stalker and a meerschaum pipe to complete the look ? A good try, but only recovering lost ground caused by running down staff. Typical of all newspapers, sadly. I sense yet more rounds of “ideas sharing” meetings coming on. “When in doubt, have a meeting” is the Archant philosophy. At least they’ve hit upon the right problem i.e. lack of in-depth, well through through content. Unfortunately they’ve also come up with the kind of typically superficial reinvent the wheel solution you can expect from people who have spent little, if any time, doing the job. What’s wrong with appointing a few correspondents/supporting the ones you’ve got to go about the job in a way which gets long-term, sustainable results rather than quick hits? If all you want is localised versions of national issues, look at the PA schedule each day. This will be worthless without that old fashioned thing called human interest. Want a piece about detection rates? Give a reporter half an hour on Google and a couple of hours on the phone and they should be able to turn it around by the end of the day. Doesn’t mean anyone will want to read it. Better to develop a relationship with the cops/police fed/victim’s groups so you know when something worth reporting comes up. Why not let your reports talk to contacts on a regular basis, not just when they need something quickly; go to the odd meeting; have time to develop an understanding of the field rather than being pressured into filling the next templated space? Call it Localised Foresight Content Accumulation and management might even go for it. It all sounds good, positive and healthy for the brand – whatever that may be. But it ‘s just another act of folly from a three-legged dog chasing its tail. Observer couldn’t be more wrong about the TM data unit. FOi is part of what they do, but just a small part. They have done a lot of work which has become very popular – the schools stats guides are put into local context, and their World War One stuff was great. FOI can be boring and dull if done badly, but it’s not done badly by the data team. Still, lets not let the facts get in the way of a Friday afternoon rant, eh? I remember a few years back the EDP appointed a special investigations reporter. He didn’t last long. His goose was cooked.. the post was scrapped… and everything went back to normal. It’s all very well having some decent investigations.. but you also need editors with courage, who will stand up for their staff when the brown stuff hits the fan. Will the EDP really run an investigation piece if there is a risk of upsetting advertisers in the current climate? I have lost count of the times stories vaguely critical of Norwich City have been binned after exchanges of calls at boardroom level. This really smacks of reinventing the wheel. Next initiative – letting reporters out of the office to bring in “off diary” stories. Any journalist chosen to join one of these so-called specialist units should – as a basic requirement – have an instinctive eye for a story, a tenacity for digging out the truth and a natural writing ability that displays rigor, accuracy and a forensic attention to detail. Alas, Archant no longer has anyone with these attributes apart from a few hardy vets whose contribution, from what I’m told, is not valued by the senior editors in Norwich. One look at EDP24 demonstrates this; stories are littered with errors, typos and poor spelling that highlight a lack of the skills listed above. Many make it through into the print titles too – that’s why I and many thousands of other lredaders no longer buy them. Perhaps the first investigation should be into the decline of editorial standards at their own papers? with a 9 month shelf life it’s probably an experiment to see how few branch staff they need or can get away with by centralising things. With no clear future development strategy or long term plans in place for the printed products this smacks of a step towards moving away from print publications altogether, especially in view of the latest crushing ABC figures for the two dailies. The rising costs of newsprint, staff salaries and production make printed publications unviable so it’s inevitable that with falling ad revenues and a hugely reduced audience set against rising costs something’s got to give. Is the branch structure at Archant so weak these days that they can’t rely on their ‘chief reporters” to do even the most basic of journalistic duties that they have to set up a ‘virtual’ team to collate this information on the company’s behalf? My oh my how the times they have a changed in Norfolk and suffolk from a time when the chief reporters in the branches were well known, well respected and were key people on their patches knowing everyone and known by everyone. I should think some of the old school editors must be turning in their graves to see how far their once mighty titles have fallen, a creaking rudderless ship stumbling from one embarassment to another and where any ridiculous idea is adopted. is this the extent of jeff Henry and his new regimes plans to make Atchant “the leading regional news group in the uk” ? giving free cinema tickets for reader supplied content, setting up a virtual team to produce the most basic news gathering, removing all trace of the laughingly called’flagship titles’ from the front of the HO building,suffering further huge ABC losses for the dailies yet allowing the people responsible to remain in charge,under performing managers left in place while ad revenues and yields continue to drop, continuing with paid for weekly papers that have clearly lost their audience and which carry a sizeable cost base to produce and not pulling the plug on the cringe worthy Mustard tv then it’s no wonder no one here takes him seriously. On a positive note and to be fair, we have all got a new email signature though so the tough decisions have started to be taken. A centralised investigations/projects team is a great idea – as a complement to localised specialist reporters. But it’s strange to put resources into what is essentially a luxury while neglecting the basics. Still, as others have said, better than nothing. Got to agree with most of the comments. Recently the EDP missed Stephen Fry and his boyfriend turning up to arrange their wedding at the register office in Dereham, Norfolk. This was exclusively revealed a few days later in The Sun. Then, having even had a warning about it and having an office on the patch, the EDP missed the actual wedding itself which was held the following week. A shocking illustration of how the basics from a once proud newspaper where chief reporters used to know about everything happening on their patch, are now ignored. How they missed this event should be looked into by the investigations team! Special units? They used to be called reporters. And they were not all fresh out of journalism training factory. If I missed a story on an evening paper years ago I had to explain myself to managers. I doubt this happens now. What I want to know is who’s investigating the investigations team ? Usual negative tripe from HTFP commenters who’d rather spend days on end moaning on here than actually do something to try and help. So much easier to comment from the edges rather than get stuck in isn’t it? Any chance something constructive one day? Could I suggest the specialist team investigate why there’s been no mention of the latest copy sales figures in any Archant paper or website? Why there’s no rate card or media pack showing ABC figures available to download? Maybe all the answers are linked ? If this team has a lifespan of 9 months then isn’t anyone seconded onto it being handed a poisoned chalice?